In this article we’re going to create a sample keyword list that you can use to optimize your site, blog, forum, Facebook page web app, software homepage, or virtually any online property you own. Remember, the philosophy is to start small, capture quick easy rankings, and repeat the process to generate large streams of steady traffic. You haven’t forgotten the big fish/small fish idiom already have you? To make these steps comprehensive I’ll show you the exact keywords I’m researching and the finished keyword lists as well. I would recommend picking a copy of Imutopia’s award winning e-guide Google Keys. You’ll learn how to use data from your web analytics to generate more efficient traffic campaigns for your site in the future. In this phase we want to figure out what our broad keywords are. We want to discover these terms to refine our target so that we can collect more specific or long tail keywords. It’s very difficult to use specific keywords to derive more specific keywords. Our best bet is to use a broad keyword first and then trim it down until we have those low-fat keywords to target. The broad keyword that I’m looking to target is online business. Broad keywords typically contain 1-3 words. After we have identified at least one general keyword you would like to target we can move on to the second portion of this phase. Believe it or not having one broad keyword to expand may not be enough to gather quality data for your niche. It’s definitely a good idea to try and look for two or more broad keywords so that you have a higher chance of discovering more long tail keywords that can bring you quick quality traffic. If you need help brainstorming more broad keywords my advice would be to use one of the simplest heuristics for information gathering which is the Five W’s. This is the common technique journalists, researchers, and investigators use to quickly get a complete picture about a topic. I would highly recommend you use it so that you can have an eagle eye view of your market. Below is a sample Five Ws that I applied for the broad keyword online business. Who would be interested in an online business? Without doing any further research my guess would be anyone that wants to supplement their income and make some extra money. What I have just described is something very similar to an entrepreneur or self-employment. Some other individuals that I think would be interested in supplementing their income from the web is stay at home moms. I believe it’s best to draw several different pictures of your potential target audience as there is no one-size fits all. For example, someone like Mark Zuckerberg started an online business while he was an undergraduate student in his dorm at Harvard which is very different from our picture of stay at home moms. What does a person starting an online business ultimately want? For example, they will most likely want to make money on the web but they probably also want the ability to set their own hours, work less, and have more vacation days. This is still very general because this could be applied to a worker that wants to advance their career but not necessarily want to start an online business. It’s best to just hurry up and get something started as you can always make progressive improvements from what you have, but be careful with drawing concrete conclusions early on. When do they want to start an online business? Ideally, people want to start within a week but depending on their current responsibilities they may not be able to. For example, the average middle aged American will have several responsibilities such as their job, mortgage, car payments, community involvement (religion, local politics, etc), and putting their children through college. Starting an online business would realistically take some planning newcomers will need to teach themselves new things and will also need to make investments such as domain name registration, webhosting, and web design which may delay the time a user starts. Why do they want to start an online business? A successful online business takes time and patience, BUT in theory once the pieces are put together it will allow the owner to work less and generate stable income. Getting to that point may vary depending on the individual and their current expertise, but this is one of the many motivators behind starting an online business or venturing into entrepreneurship in general. Where do they want to start an online business? Most people starting out simply work from their home as getting an office can be costly for someone starting out. Other places that they can work from are coffee shops, public libraries, and virtually anywhere that supplies free wifi. Believe it or not, different keywords may be more optimal for certain geographic locations. For example, certain region specific keywords that I can think of are anything involving the Silicon Valley area as most likely it has to do with the geographic region that consists of Northern California. How will they start an online business? Technically, how not part of the 5 w is’s because it starts with an “h” but it’s a question that reporters typically ask along with the 5 w’s. Anyhow, an individual typically starts an online business by figuring out what type of business they want to be in and then they register a domain name. Then, once that’s sorted technical wizardry is popped into the equation and bam you got your online business. It’s typically not that simple but it’ll do for illustrational purposes. The first keyword I’m going to plug into Google is supplement income. Here are the results I got from Google suggest which will be located towards the bottom of the serps in Google. At the time of compiling this product the keyword “supplement income” had roughly About 52,000,000 results (0.21 seconds) pages indexed in the serps. I could add other keywords like “supplement income definition” or “supplement income ideas” but I think that they will end up wasting my time in the long run because it’s not closely knitted with earning an income online or from home which is the market that I’m primary catering towards. I could have added more keywords but I think these two fitted the theme of my site the best. We will use a method later to expand our keywords in Keyword Planner, so if you’re concerned that you won’t find enough keywords I would recommend kicking that thought because by the end of this guide you’ll have more keywords than you can handle. Anyhow, you can keep adding more keywords in your list by substituting the new keywords you just found back into Google for suggestions. I would recommend doing this until you discovered 20ish keywords you feel closely matches the theme of your website. By the end of this experiment you should have discovered several unorthodox keywords that you wouldn’t have thought of before. The next step is to expand your broad keywords that you identified at the very beginning. Here are the suggested keywords I got when I plugged in my broad keyword online business into Google. I can duplicate this process by plugging variations of the keywords that I was able to scrape from the 5 w’s experiment. I decided to plug in the keyword online business ideas into Google. I felt that these keywords best correlated to the theme of my site more which is why I will assimilate them into my keyword list. You can keep plugging in new broad keywords that you find into Google to see Google’s suggestions for fresh keywords to target. Once you are done move on to step three. If you need more help with finding more related broad keywords I would recommend picking up my seo research courses on Bing, Yahoo, and Google. In this section we are going to plug the keywords we discovered into Keyword Planner. To sign up for Keyword Planner you need to have a Google adwords account. No worries you don’t need to actually pay for advertising, Google just wants you to have one just in case you do decide to buy advertising your account is already setup. To sign up for an adwords account visit this url here: adwords.google.com. Once you’re logged in you can access Keyword Planner by clicking on tools->planner. Click the “get search volume for a list of keywords.” You can copy and paste the keywords you have in your text file to the form or you can separate the keywords by line, commas, or you can simply upload the txt, .csv, or excel file to the form. I simply copied and pasted my entire set of keywords into Keyword Planner and let them determine the search volume estimates for these groups of keywords. Now, I’m going to enter in terms that have a length of 3 or more into Google as two word terms will probably be too difficult for a new site to solidify rankings in. We’re going to discuss the site’s number of competing pages. This is the number that shows up when you type in a term into the Google search box. For example, I typed in the term “online business” into Google which currently has 1,030,000,000. As you can see this keyword combo has over one billion competing pages which is huge! However, I want to get more granular and see how many pages are in Google for the exact phrase “online business” as just typing the phrase will provide you with phrases that are associated with online business which can be very misleading. To analyze the exact phrase for online business simply wrap the term in quotes. Here are the updated results for the exact match for online business which is 8,330,000. As you can see when I searched for the exact phrase the amount of competing sites dwindled significantly. However, while it’s ok to look at the competing pages my advice is to pay more attention 10 competing pages in Google for a keyword. The reason for this is because even if there are only 10,000 competing pages for a keyword, if 4 of the 10 pages has a page rank of 7 then there’s simply no way that you can outrank that site so you will face a red-light in your marketing efforts. However, if a keyword had billions of pages indexed for a particular term, but if there are only two authority sites in the top 10 results then you could consider targeting that keyword. However, you will strike gold if you can find a site that has a low amount of competing pages AND low amounts of authority sites ranking in the top 10 of the serps. If you discover this then you have an automatic green light to target the keyword. Here’s a simplified version of the formula I use to select perfect keywords. 1) Keyword must have visitors. This is just my personal preference but I don’t see a point in targeting a keyword that generates 0 visitors per month because your income potential will be stifled significantly. It’s only so much money you can generate from a keyword with such low traffic averages. I know, sounds like common sense but it’s something I see webmasters overlooking consistently. 2) Numbers are helpful but can be deceptive: I think a nice keyword would have less than 10, 000,000 competing pages broad search and less than 100,000 competing pages using exact search. This is a very rough estimate and I’ll often ignore these numbers if I feel that I can outrank the top 10 ranking sites with minimal effort. Also, if you’re targeting a popular keyword then you should know in advance that it’s going to have a lot of competing pages. Even if you find a keyword that consists of 10 words, if it has one or two popular keywords in it then the amount of competing pages will be numerous. 3) Analyze the top 10 competition of a keyword in Google. To do this download the SeoQuake browser add-on for either Firefox or Chrome. Technically, SeoQuake has an add-on for Internet Explorer (IE) but my experience is that IE is much slower than Firefox or Chrome. Here is the homepage download for the add-on. After it is installed you should be prompted to restart your browser. Here are the important metrics to pay attention to for the top 10 sites in Google for prospective keywords you’re targeting. Page rank: Pagerank is an important metric in Google regardless of the countless of counter arguments flowing online about this subject. If you purchased by course about Bing Seo then you’ll know that Bing doesn’t care about pagerank as much Google does. However, that’s no surprise as Pagerank is a Google patent. If you noticed, the top ranked sites in Google tend to have a high pagerank. Note, just because a url had a pagerank of n/a doesn’t mean that the site has a low authority. Sometimes this could simply mean that the url has been published before the latest pagerank update, but the homepage itself may in fact have a high pagerank. LD: This denotes the SEMrush linkdomain or the links that point to the domain overall. As again, if this number is high then you have the red light to stop, discard the keyword, and look for another one that is easier to rank for. However, before you do that it’s worth your time to sit down and analyze the urls that are linking to a particular domain. For example, if many of the urls are simply from third party content networks like Squidoo, HubPages, or online forums, then it would be very easy for you to replicate these links. All you need to do is click on the SEMrush icon in the serps. 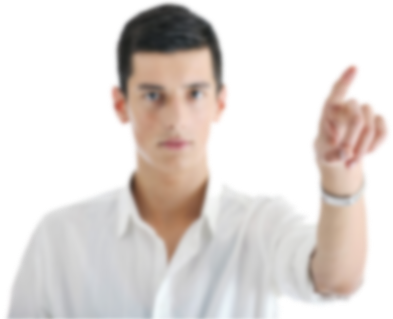 This will provide you with a sample of the links that’s pointing to a particular url. However, if you want to see the remaining links then you will have to upgrade the service in SEMrush. Here’s something you should keep an eye out for. If you see a site that is receiving links from high authority sites like from CNN, Techcrunch, Wallstreet, etc, then that’s a good indicator that it’ll be too difficult for you to outrank those sites. However, if the person is just acquiring links from low quality sites like ezine articles then you may still have a shot of outranking them if you generate quality links. 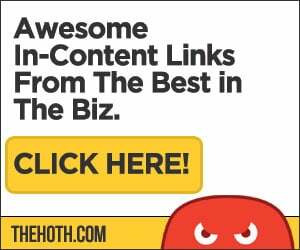 Imutopia released an e-guide earlier this year that reveals the best strategies for acquiring one-way links to your sites.